Our team is sharing some of their favourite ink resist techniques today. I love using clear embossing powder with our background stamps, it's definitely my favourite resist technique. For my card today I used the gorgeous Garden Flourish Background. I swept over a piece of Smooth White card stock with the Embossing Magic, and then I inked up the Garden Flourish Background stamp with Versamark, and I embossed the image with Clear Embossing Powder. 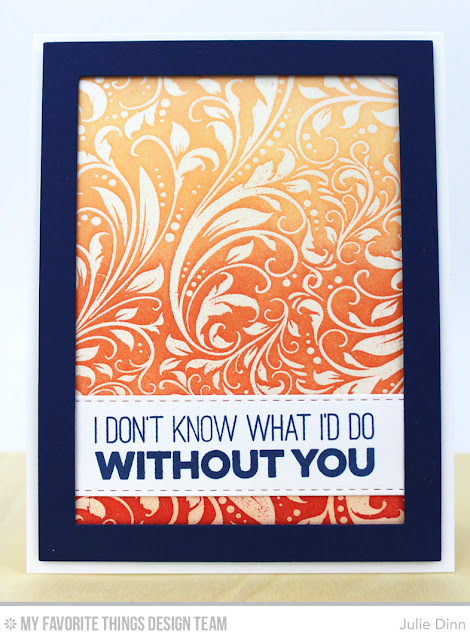 I sponged three colours of ink, Peach Bellini, Coral Crush, and Persimmon over top of the embossed image. I finished off the card with a sentiment from the Friends like Us stamp set and a large Rectangle Frame. 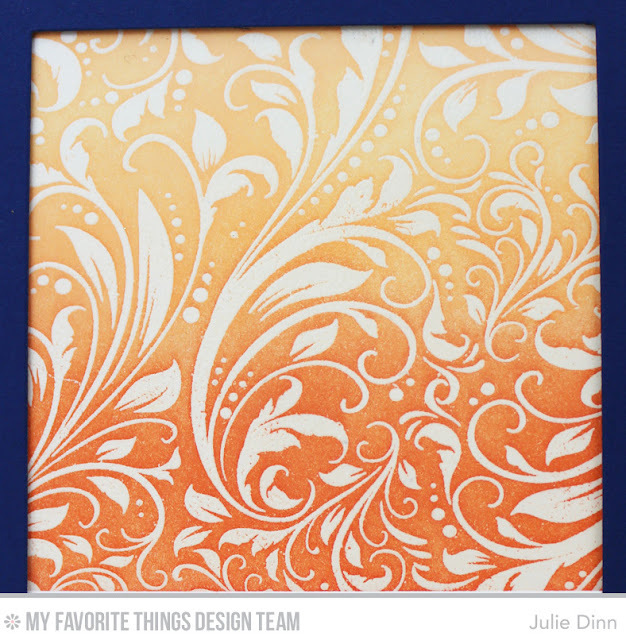 I love that you and Kay used the same Flourish stamp and got totally different looks! Both of them are stunning!